Each Tin contains One Oversized UD1 Card and Three Young Guns Rookie Cards! Look for Jack Eichel and Noah Hanifin Young Guns! - UD Canvas Young Guns! - Rookie Materials Jersey Cards! 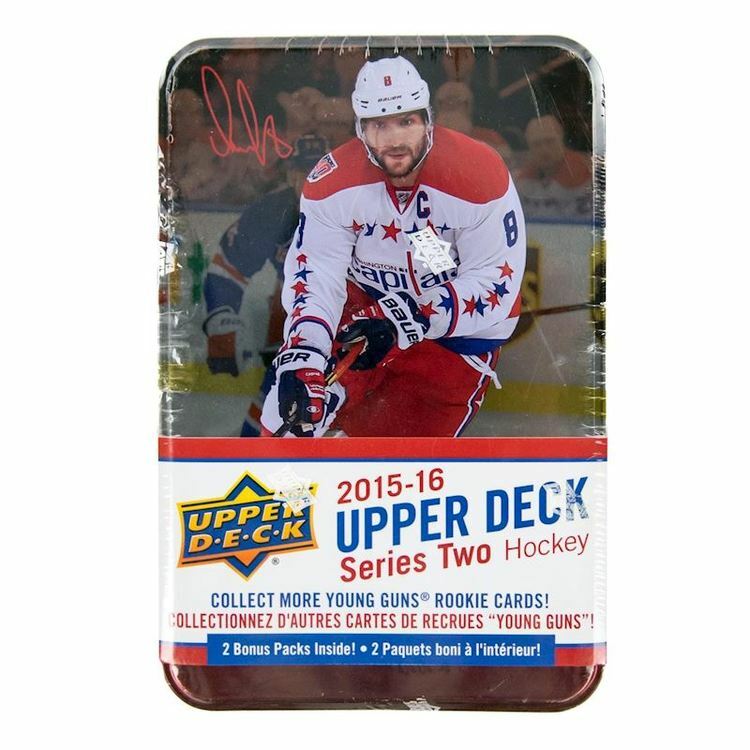 EXCLUSIVE: Get 1 BONUS oversized (31/2 x 5) Base card from UD1! Get your hands on must-have Jersey Cards with Rookie Materials! 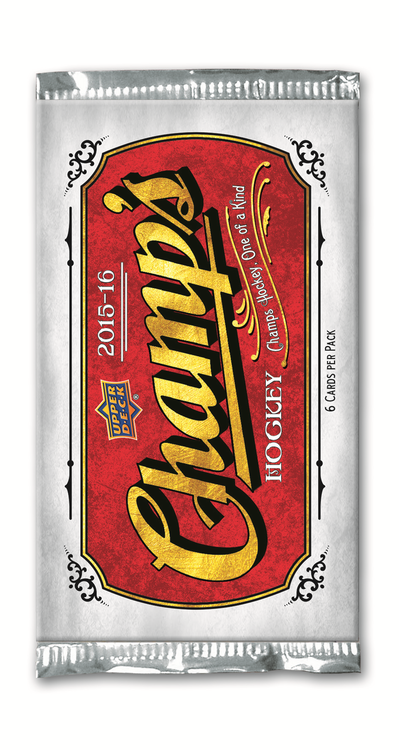 Hitting 1 in 48 packs, they are sure to light the lamp! Adding in the popular UD Game Jersey cards, memorabilia cards hit 1 in 24 packs for UD2! Find Day With The Cup cards! Check out last year's Cup winners as they travel the globe with The Cup! Look for UD Portraits, featuring your favorite NHLers! 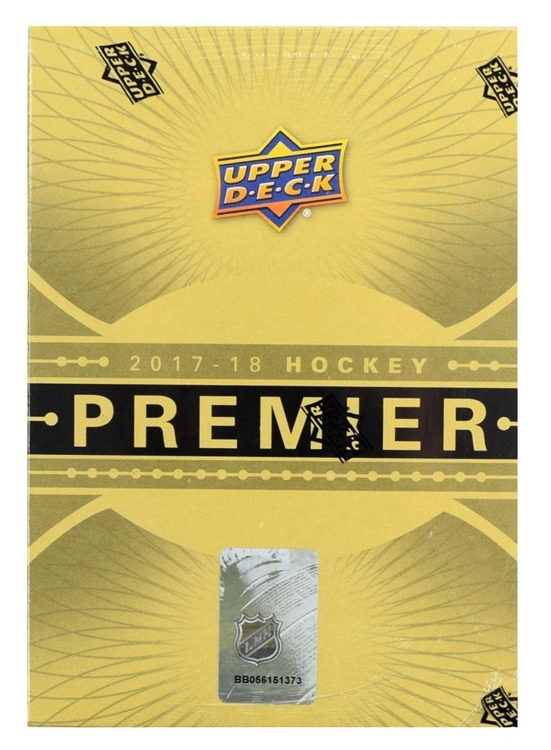 EXCLUSIVE: 31/2 x 5 NHL Star Card! - Oversized Regular card - inserted 1 per Tin!